A screenshot from the OKO.press website on Jan. 24, 2018. This article forms part of the IPI series “Contending with ‘Fake News’: Notes from the Field”, which examines the particular dynamic around the “fake news” debate in five EU countries: Austria, the Czech Republic, Poland and Spain. It offers a look at the sources, styles and goals of disinformation in each country as well as the extent to which the debate has affected public discourse, politics and press freedom. 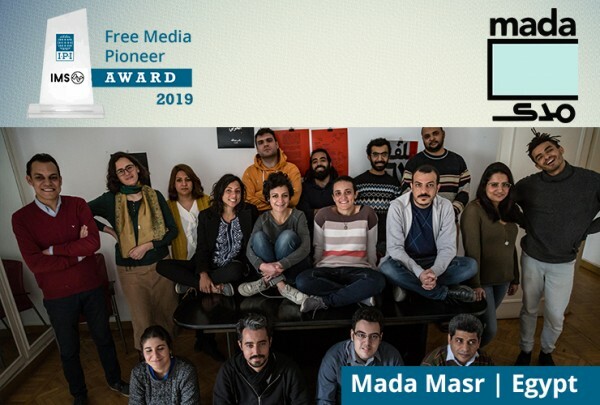 The series also includes profiles of five initiatives that have adopted innovative solutions to addressing disinformation and building trust in fact-based journalism. 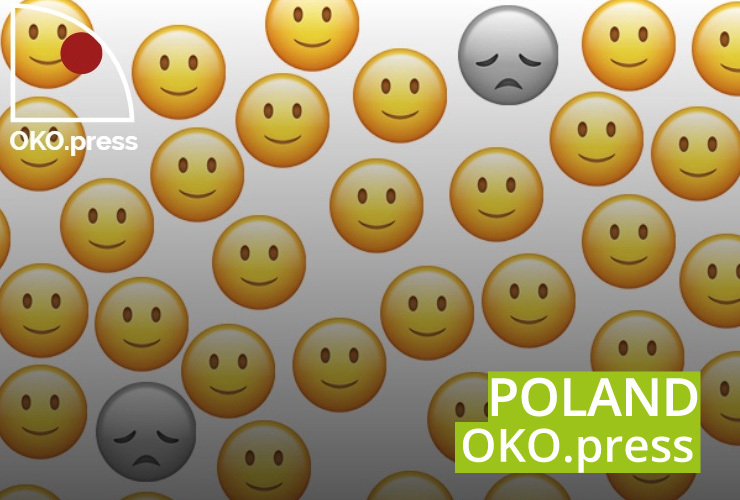 This article profiles the Polish fact-checking website OKO.press and complements our analysis of the “fake news” phenomenon in Poland. In June 2016, Poland saw the launch of OKO.press, a non-profit, fact-checking and investigative journalism outlet. The project is aimed at preserving freedom of speech and availability of information in Poland’s highly divided media ecosystem, where the government had essentially taken control of the public broadcaster. OKO.press was initially financed by Agora Holding – publisher of Gazeta Wyborcza, the largest liberal daily in Poland – and Polityka, Poland’s largest liberal weekly, but it currently runs on donations from readers. Agata Szczęśniak, OKO.press’ deputy editor, told IPI that she was surprised how quickly the outlet received support from the public. The outlet offers all of its content for free on its website, including fact-checks, political analyses, opinion polls and investigative pieces. It is run by 16 journalists and financed by around 2,500 monthly subscribers and some 6,000 less-regular subscribers. In Poland, it is difficult for an independent media outlet to not be branded “anti-government”, Szczęśniak said. Szczęśniak told IPI that OKO.press’s reporters face problems similar to those confronting any other journalists in Poland, the biggest challenges being the government’s lack of transparency and the difficulty of getting information from public officials. She said that public institutions in Poland are not accustomed to delivering information to journalists or the public, so it may take weeks to get a response to a simple request. She also said that sometimes difficulties with the government go beyond an uncooperative attitude. According to Szczęśniak, the Polish ministry of defence has notified OKO.press twice that it would be checking the non-profit’s legal status before replying to questions. Szczęśniak also recounted an instance in which the justice ministry requested a change to a published article within six hours. When asked, the ministry could provide no legal basis for the arbitrary deadline. “We were only asking,” it replied. The public broadcaster in Poland is considered to be under the control by the government, with its reporting following the line of the ruling Law and Justice (PiS) party. Even though state media has an extensive reach, especially in rural areas where many older people do not access the Internet, Szczęśniak told IPI that she believes that a great number of people are looking for different, independent information. OKO.press has a monthly readership of more than one million, which she noted is a lot for such a small outlet. According to Szczęśniak, a lot of the information on public media is simply untrue and even originates from known fake or right-wing websites. Even though the information provided by the public media is often proven incorrect, “they do not issue corrections, apologies or even comments”, Szczęśniak observed. She also noted that it might not be beneficial for an independent media outlet to put too much time and effort into correcting everything on a certain topic, as the public can easily bore, a development she said she observed in the coverage of refugee issues in Poland. 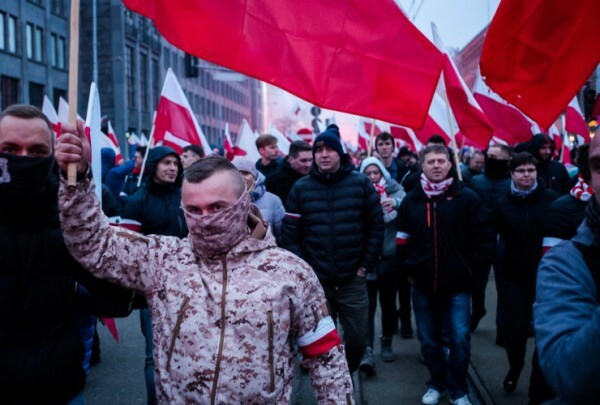 Szczęśniak, echoing many other independent journalists in Poland, said there is “obviously” a growing division between the “liberal” media and pro-government, conservative media. She told IPI that she does not think that the credibility of the media has necessarily suffered, but that the opposites have drifted further apart, a development exacerbated by the actions of the government-controlled media. Content involving lifestyle, sports and other lighter issues escapes the divide, she said. Any sort of political journalist, however, has to “pick sides”. This goes for readers as well. “If you read Gazeta Polska, you would definitely not buy and read Gazeta Wyborcza,” she noted. The divide in Poland is also generational, Szczęśniak said. Different generations may agree on things like economic policy, but they are worlds apart on issues like women’s and LGBT rights. This applies to journalists, too. The division’s effect is “more walls between people, between different groups”, she said. Szczęśniak also predicted that the full effects of the division and the diet of information that Poland’s people currently consume will only be seen in the future. OKO.press clearly states on its website a list of values underpinning its work that might not be compatible with the policies of the current government. But in its journalism, the outlet tries to cover both sides, Szczęśniak maintained. “We read both sides and quote them, because we think the public also needs to know the full spectrum,” she said.